So, the stress of planning your wedding is over and you’re looking forward to your honeymoon; this is the first vacation you’ll take as a couple, and it’s a much needed opportunity to decompress. Mexico has long been a coveted vacation destination, but it is also one of the most popular honeymoon destinations in the world with the best hotels. If you want luxury, sunshine, history, and vibrant entertainment all in one place there’s no better choice than Mexico. It’s not all about the destination, however; your choice of hotel to host your honeymoon is one of the most important parts of the experience. This is why we’ve compiled this honeymoon advice, listing some of the best hotels in Mexico when it comes to luxury vacations. We might be biased, but we truly believe that the Sian Ka’an Village is one of the best hotels in Mexico for a honeymoon. 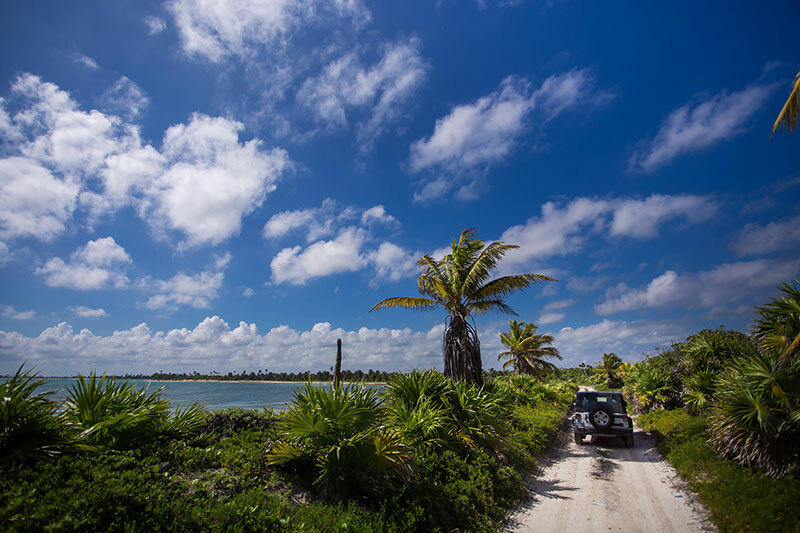 Sian Ka’an Biosphere is one of the most unique and untouched ecosystems in Mexico, and the Sian Ka’an Village offers the chance to immerse yourself in this majesty during your honeymoon. In fact, if you ask the chef you could even have a romantic dinner on the beach to make your honeymoon entirely unforgettable. In Cancun the rich history of the Maya meets the glitter and glamour of the modern age; the Villa del Palmar looks out over the stunning Mexican Caribbean and is within reach of all the amenities and activities of the Hotel Zone. 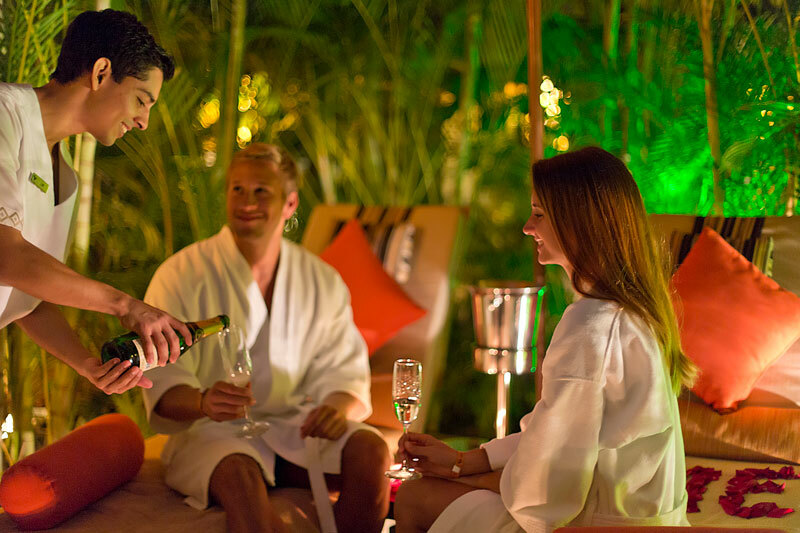 Romance is key here at one of the best hotels in Mexico; from the small details of your room to the couples treatments in the Spa, the Villa del Palmar has it all. 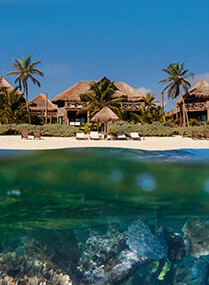 You can also book a package that combines both the Sian Ka’an Village and Villa del Palmar Cancun. 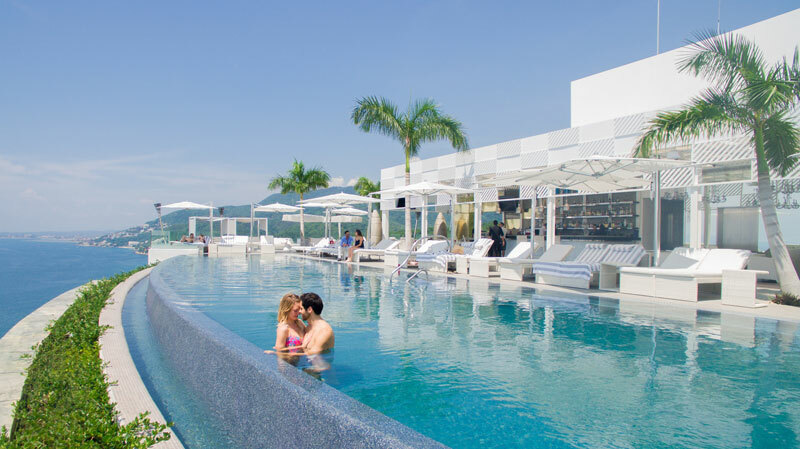 If you’re a modern, chic kind of person the Hotel Mousai (found on the Garza Blanca Preserve) is an adults only hotel with a 5 Diamond ranking which offers sleek sophistication and romance on the shores of Banderas Bay! We highly recommend getting a couples massage at Spa Imagine where you will enjoy a stunning spa with a view at one of the best hotels in Mexico. 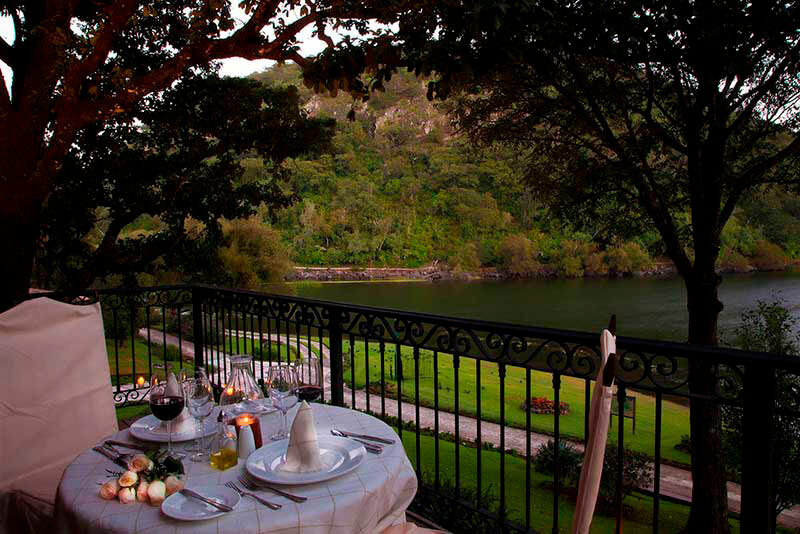 The Sierra Madre mountains offer some of the best scenery in Mexico, and the Sierra Lago resort is nestled perfectly amongst them by the shores of a stunning lake. Though the call of nature will beguile you and offer bonding in the great outdoors, we can be sure that your luxury cabin will tempt you to stay in. 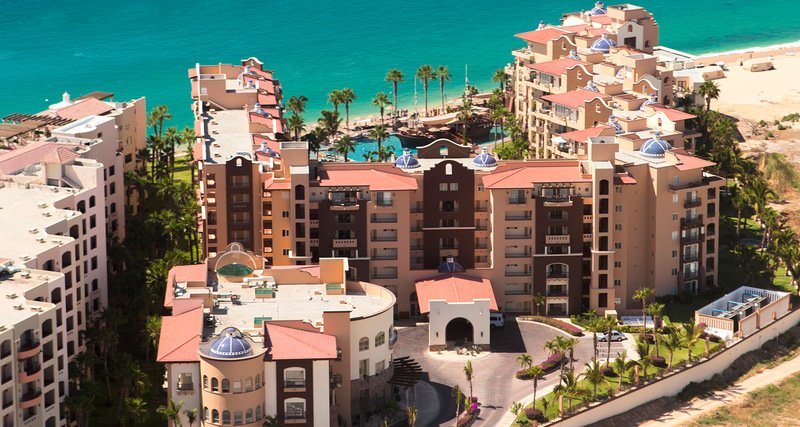 The Villa del Arco in Cabo San Lucas offers the perfect launch pad for those who wish to experience the fusion that the city has to offer. The views of El Arco (Land’s End) that you get from the Hotel make for truly stunning honeymoon photos. The city itself is one of the most stunning places on earth!